Crank up your metabolic conditioning with this high-octane workout. Give this short intense series of moves all you've got and you'll quickly feel the burn. 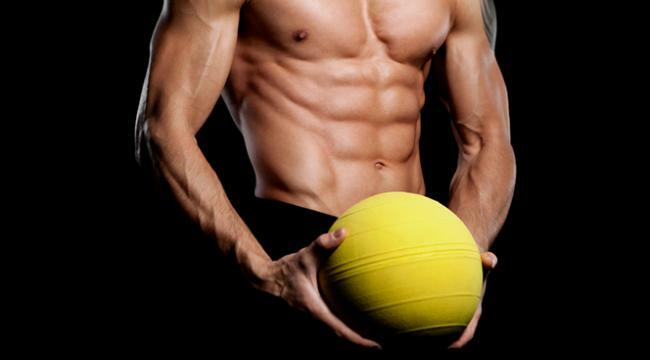 All you'll need is a medicine ball and the motor to get to the finish line. Be sure to use a weight that will challenge you throughout the workout so you've got nothing left when it's all over. If you're looking to build power endurance and enhance your metabolic conditioning, you'll get it here. Follow the rep and round counts below for your selected fitness level. Those at the advanced level should focus on speed - performing all exercises as fast as possible for maximum results.